NPCs and many secondary ones give shame and regret, how few are kurrany (many animations are written) and play like Tomb Raider, which is "almost pasilíro" I do not understand how at this height of generation presents this type of NPC when the world games are open, has secondary characters and the NPC is very successful and cured. It's a lot of people who completely get you out of the story and deprive you of the credibility of the environment and the environment in which they work. Animations are being recycled and some are even worse than the previous two games of this trilogy. Animation of this Tomb Raider Lara I've noticed that they are far below those of Rise, and some even if they want that they improved them nor changed (I hate that when you read a document, treasure or monolith, when you give a circle to cancel do dodge that it seems strange to Gollum, I do not know, they can improve and prevent me from doing this when you cancel things). And not just the animation, but the control of Lara, in this I noticed that it was coarser, less fluid, and more inaccurate. There are many moments when the game goes through a jumping lining that you press a square to use an ice ax when it's very difficult. Yes, it is true that in this payment the jumps were less cautious and now there is a need for more precision, control and control, but I noticed that Lara is more inconvenient than the previous two. History: Very very, very loose, of the three that were introduced with this restart, the one that covered me the smallest and heaviest. Look, Rise is a little smoky, but it's totally useless from my point of view. They gave me this trilogy as a restart of Lary Croft, how Tomb Raider is going to be, and that it is destined to be to see all the transformations of Lary, her path, her maturity, etc. And finally I did not see anything. And that should be the closure of the saga, the top, the great, and show us Lara, which we all know, gives us a kick for eggs and nanai. They offer Lara something similar to Rise, a flat, barely motivated, and even in some "silly" moments when Lara always saw her, surely, follow her instinct. They want to sell us more visceral Lara Croft, but it is not. They have not gained any advantage of the ideas they have put forward with this trilogy, and everything has been more to less. For me, Tomb Raider has always been a combination of platforms, "actions" (I've put them in the reels and now I explain why), puzzles, and exploration. What do I mean? So very simple how many of us did not want to get two zines and go for free opponents, jaguars, leopards, etc.? How many of us did not like how to get the Eagle Desert? Even defeat the scorpions with two pistols in the Last Revelation. Tomb Raider has always had a part of the action and shooting (blessed trick to have all the weapons in TR II, III and IV), killing Pier and Larson, facing Seth, stalking the motorcycle in the last revelation, getting a telescopic look, being part of the Tomb Raider entertainment . Lara leather wrapped in TR III and V, with MP5, was orgmusic. And what did they do? Not only did they remove their emblematic pistols, and even when they closed this new trilogy, they were not returned (both weapons are the Lary identity), but we also changed them to two legs and a damned bow (I'm sorry, but I hate because in all games we give a bow to everything that seems to be a game of hunger). 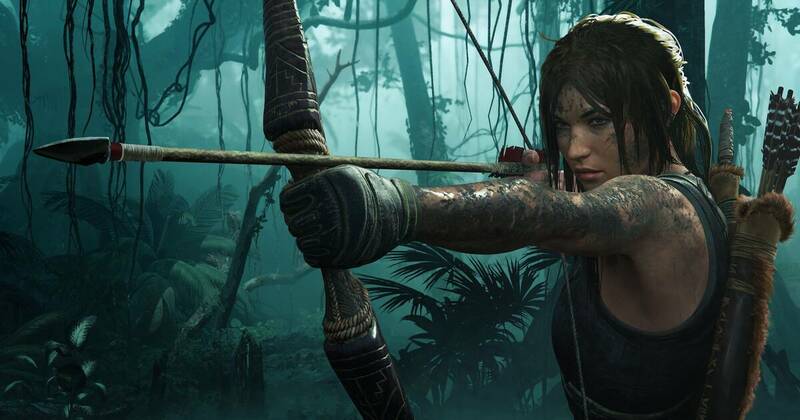 They have transformed our present Lara into an attempt at Katniss on white hot games. Then they were the vehicles, the other thing that was loaded and which was part of the Tomb Raider essence, TR II, Quad TR III, motorcycle, and here in this new saga we did not catch the 0 vehicles. Am I the only one who likes to get to area 51 on TR III with quad? They did not even return to Lary. The villains and the bosses. GOD, it's that we have links like Von Croy, Seth, Natla, and we were unable to offer our boss the conditions in these three games. I laugh at the three. Even TR The headless rider rushed to the top of the "pseudo thieves" we were trying to do now. No top-level confrontation (fighting Seth in the pyramid as you solve levers, confrontation with T-Rex, etc.). Alejandra Maglietti se Separate de Jonás Gutiérrez: "Se lesionó y eso complicó todo"
Moyano, en Manchester: rá habra acercamiento con Agüero?